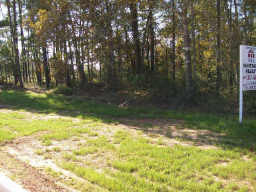 25 +/- acres restricted for commercial use in Magnolia Ridge. 1325 +/- frontage on Magnolia Ridge Blvd and 790 +/- frontage on Magnolia Trace Blvd. Magnolia Ridge Blvd will have access from FM 1488 and FM 1774. This tract is closer to FM 1488. Great for retail, doctor's office, dentist's office. "Maintenance Fees will be implemented at a later date."